The sermon started with the doubts of the disciples, notably Thomas, but also contrasted the boldness of the disciples on the day of pentecost with the same disciples in that upper room when Jesus appeared to them. The general pressure of the sermon seemed to be expressed by Jesus response to Thomas: “Do not doubt but believe”. The idea that came to me was of the sense of waiting for transformation, the coming of the Holy Spirit. The seed has been sown but as yet there are no signs of the new life. We have been planting our veggie garden over the last few weeks and it has been exciting to watch what were once just pots of soil suddenly, after a week or so when you wonder if anything will happen, sprout green shoots, the first visible signs of new life. 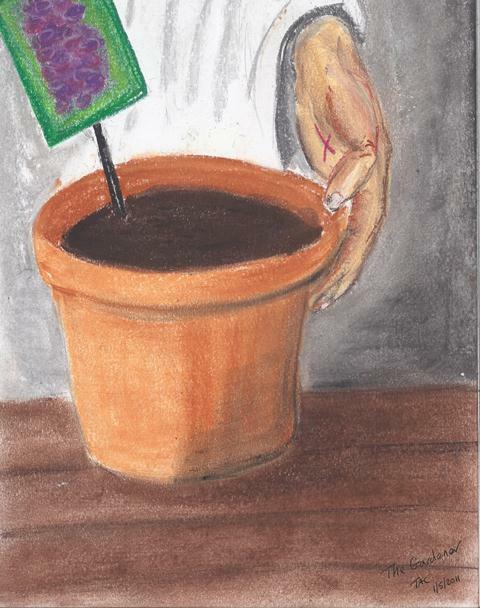 The image tries to capture the idea of waiting with the expectation of the new life, the seed packet reminds us of what we are waiting for, the fruit of the new life, and watching with tender care and patience is the Gardener.